I have been identified with settings distant in time or place for so long that I am sometimes tagged as the writer of “faraway mysteries.” It is not by accident that I write novels set on the other side of the earth, like my recently released Bones of the Earth, or in another century, like my Bone Rattler series. It was never my intention, however, to simply drape a colorful backdrop over my plots. The crime and suspense genres offer unique potential to hook readers in the early pages of a novel, creating fertile opportunity for the novelist. My goal has always been to hook readers but not to reel them in; rather I want to set that hook and pull them into deeper waters. At an early age I was transported from a simple rural existence into amazing journeys of discovery with guides as diverse as Heinlein, Cooper, Vonnegut, Stevenson, Conan Doyle, and Bradbury. Through them I began to appreciate the vast diversity of literary experience, and while I enjoyed the diversions of lighter fare, I realized that some writers stayed with me long after I put their books down. Many writers kept me awake late into the night as I read them, but these kept me awake after I turned the lights out. I wasn’t just entertained by these novelists, I was absorbing new and fascinating facts about the world and being invited into issues and ideas I had never before considered. I was being educated in the broadest sense of the word, and provoked into considering issues a youth on a remote chicken farm would never otherwise glimpse. Years later when I started writing my own fiction this was the challenge I set for myself. I wanted to return the favor bestowed by those writers who shaped me. Prodding readers to learn new facts about the remarkable Tibetan culture behind my Inspector Shan novels, for example, would be important progress in this direction. Using the lens of a complex crime story to focus them on the deeper, often disturbing, political and social issues underlying the crimes would be even better. Emerson wrote long ago that “Fiction reveals truth that reality obscures.” Those words have never been more compelling. There are regions of the world today where governments spend vast resources to shape perceptions of reality to obscure their widespread, often violent, suppression of indigenous populations. 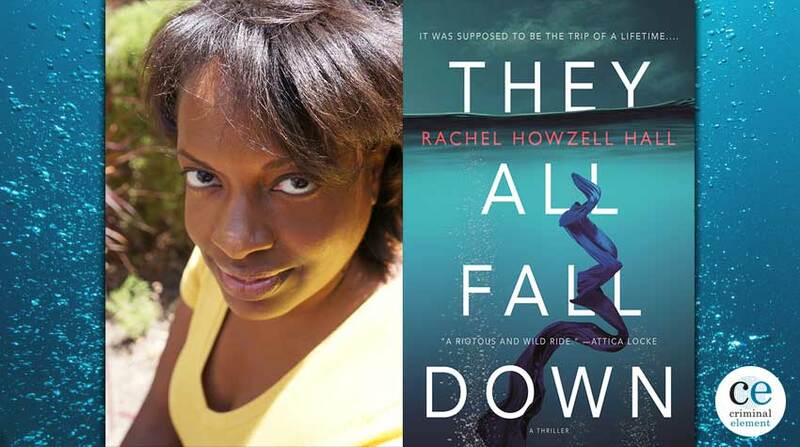 Fiction can play a vital role in exposing the truth about the lives of millions of such suffering people, and no genres are more effective in doing so than those of crime and suspense. These are the genres that drive immediate, and deep, engagement with their tales’ characters, for the essential bargain between reader and writer is that the reader will get a tight grip on the protagonist and the author will then send them on a thrilling roller coaster ride of a journey. This kind of engagement drives a more personal connection, assimilation beneath the skin, a visceral resonance between reader and character. 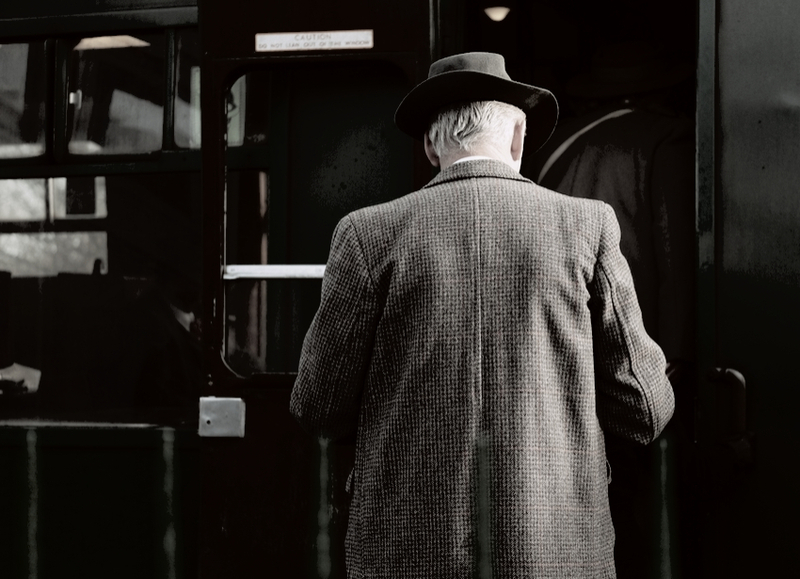 This bond between reader and protagonist coaxes the reader into a sweeping spectrum of new experience not otherwise available in their daily lives. To join Inspector Shan in solving a crime, for example, the reader may have to become an eyewitness to the numbing cruelty of the political prisons and indoctrination camps scattered across central Asia. Thus a murder investigation in Tibet that crosses the many political classes of classless China creates the stage for a poignant look at how Tibetans are often denied justice through the formal systems of government. My Inspector Shan often cannot grasp the motives, or sometimes even the evidence, of certain murders without grasping the psyches of the gulag prisoner and his jailor, both battered by the soulless system that traps them. 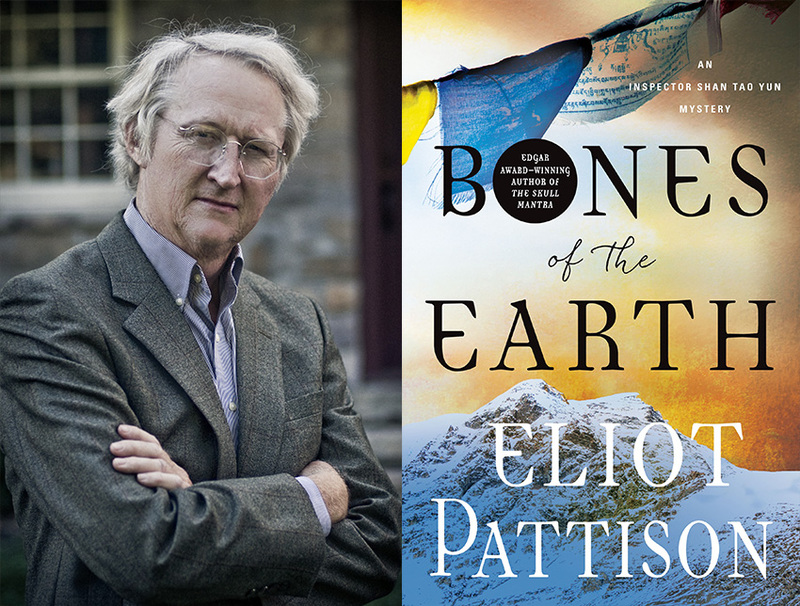 In my new novel the reader is quickly driven to understand that the official execution of a Tibetan man is actually a carefully staged murder but the explanation, and true justice, will be elusive unless the reader joins Shan in discovering the death’s link to the suppression of religious artifacts and destruction of sacred lands. While the murder mystery will be solved in the closing pages of the book, the horror of what has been done to the Tibetans may linger far longer. Too many of our human rights chronicles are as dry as our history books, offering sterile compilations of statistics, charts, and citations to international treaties. As pieces of advocacy, these pale by comparison to a few minutes spent with a monk lying in a frigid gulag barracks as he counts mantras on a rosary of knotted vine then learning he is there only because he gives his allegiance to a spiritual Buddhist leader instead of a distant, ruthless commissar. When the mystery is compelling enough the reader doesn’t hesitate to enter that prison barracks and listen to that monk whisper about long ago crimes. If I have done my job right, the reader will feel satisfied to have entered that barracks and solved those crimes at the novel’s end but will still ponder the mystery of how any government in the 21st century can get away with the suppression of millions of pacifist Buddhists. 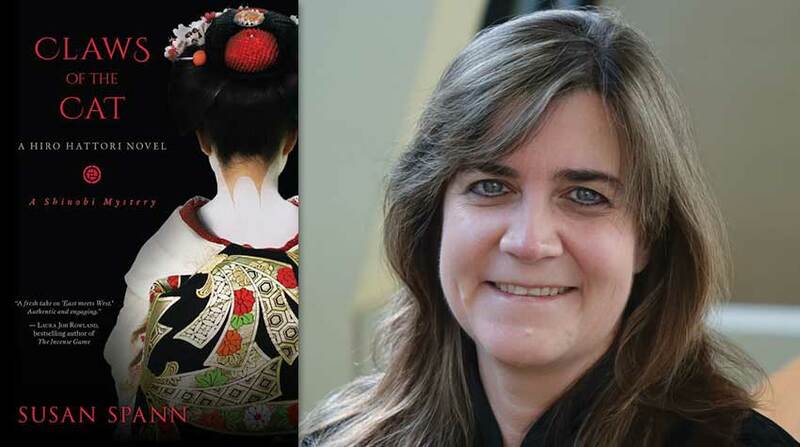 Check out more posts about Eliot Pattison’s Inspector Shan Tao Yun Mysteries. 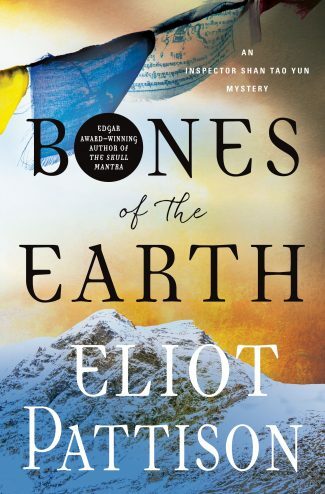 Bones of the Earth is Edgar Award-winning author Eliot Pattison’s much-anticipated tenth and final installment in the internationally acclaimed Inspector Shan series. After Shan Tao Yun is forced to witness the execution of a Tibetan for corruption, he can’t shake the suspicion that he has instead witnessed a murder arranged by conspiring officials. When he learns that a Tibetan monk has been accused by the same officials of using Buddhist magic to murder soldiers then is abruptly given a badge as special deputy to the county governor, Inspector Shan realizes he is being thrust into a ruthless power struggle. Knowing he has made too many enemies in the government, Shan desperately wants to avoid such a battle, but then discovers that among its casualties are a murdered American archaeology student and devout Tibetans who were only trying to protect an ancient shrine. Soon grasping that the underlying mysteries are rooted in both the Chinese and Tibetan worlds, Shan senses that he alone may be able to find the truth. The path he must take, with the enigmatic, vengeful father of the dead American at his side, is the most treacherous he has ever navigated. More will die before he is able to fully pierce the secrets of this clash between the angry gods of Tibet and Beijing. The costs to Shan and those close to him will be profoundly painful, and his world will be shaken to its core before he crafts his own uniquely Tibetan form of justice.